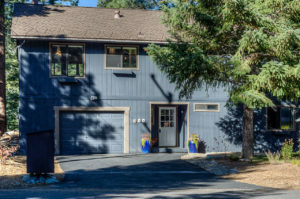 Home > Priced to Sell in Tahoe City! Priced to sell! Fantastic Tahoe City location in a peaceful setting, with a beautiful open concept main living area and attached mother-in-law unit which you can use for your family and friends or as a rental. Thoughtfully updated bedroom and bathrooms and great layout. Amazing trails at both ends of the street make for an ideal spot to take advantage of hiking and biking, and you’ll be only moments from Tahoe City, Paige Meadows, Sunnyside, Tahoe House, and West Shore beaches. Just 10-15 minutes to world-class ski resorts Squaw Valley and Alpine Meadows and the renowned Tahoe Nordic Center, as well as a life time of off-resort backcountry skiing!